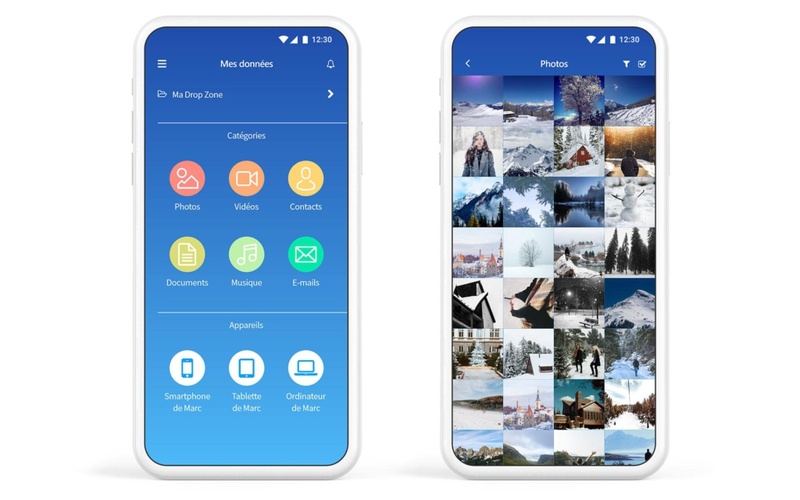 With helixee, you can automatically back up photos, videos, and contacts from your smartphones and tablets. 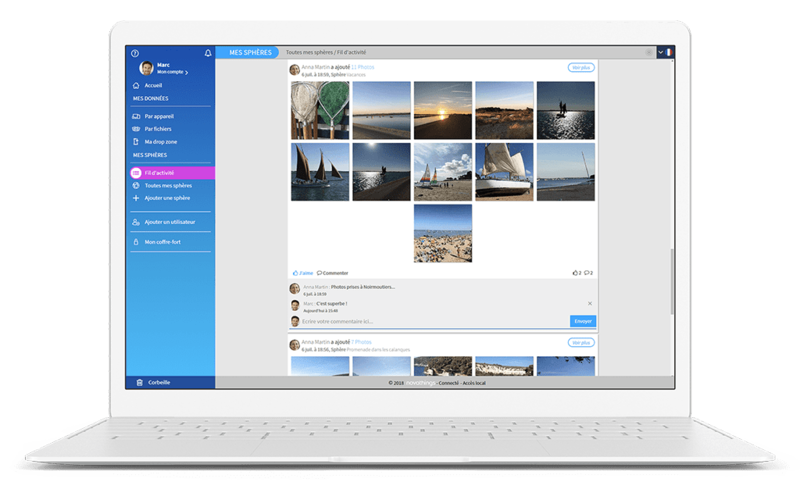 You have a multi-user solution, where everyone can save their device data in a completely private and safe space. Finally, the Drop Zone allows you to quickly save a folder with a simple drag and drop from a simple browser from your PC (Windows or macOS). In order to securely share your data with loved ones or colleagues, we have invented the spheres. 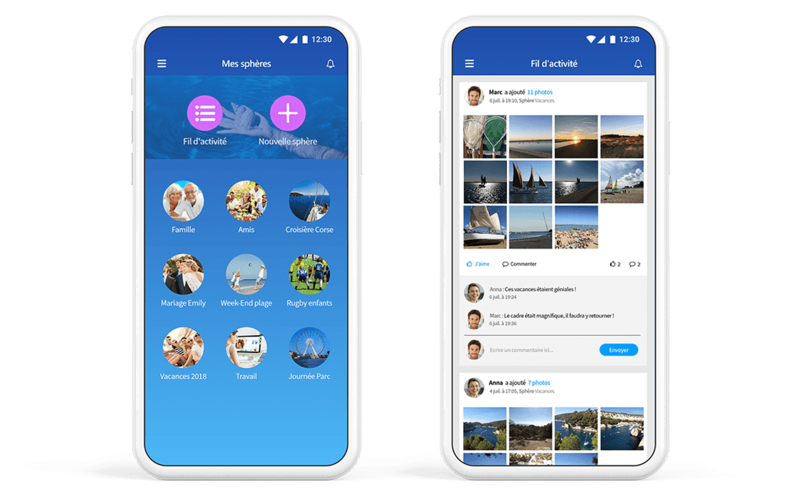 Each user of your helixee (Smart Disk or Smart Cloud) can create spheres, add photos or other files, and share these spheres with one or more users. Like, comment, share, this is your private social network. 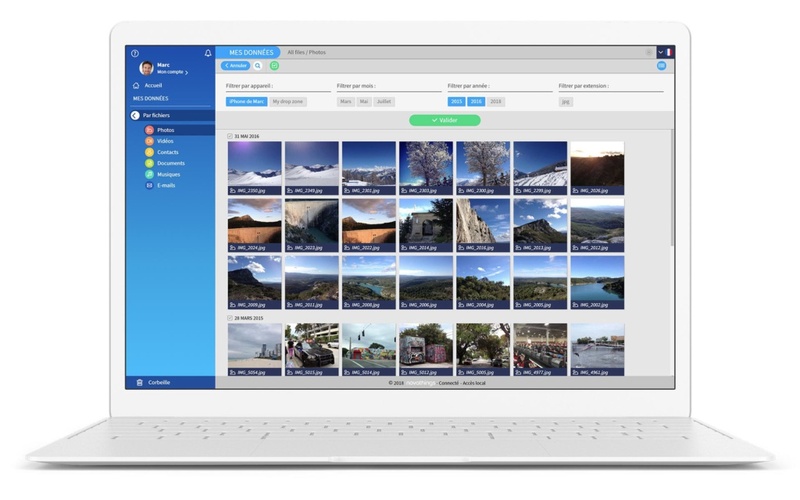 Access your data remotely from all your devices or a simple web browser. View your data with your devices tree view or by categories thanks to automatic tags which sort your data by device, type, and date. 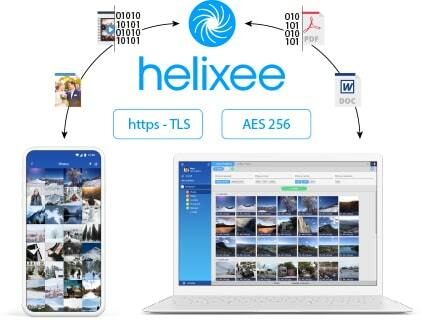 Your helixee automatically backs up your data by keeping the tree view of each of your devices, so your directories are in the same place as on your computers. Moreover, your helixee centralizes and classifies all your data by file type. 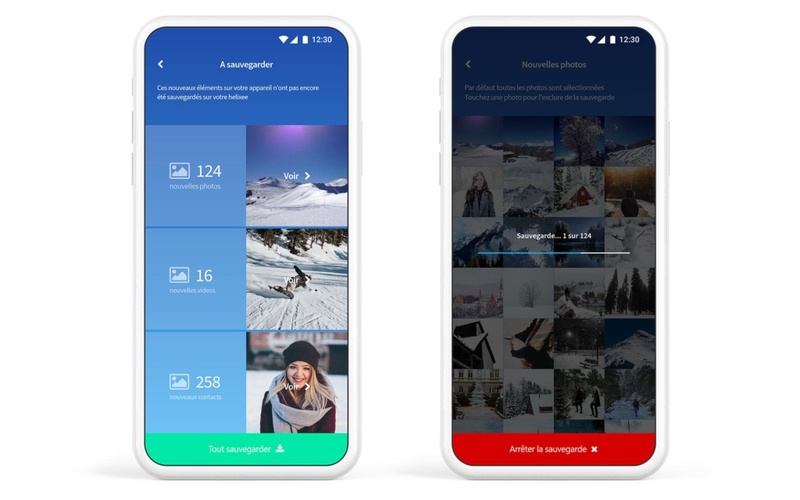 Thus you can find in one place all the photos from all of your smartphones, tablets and computers. A search engine and filter tool also allow you to find a file or a photo quickly. Installing helixee is a breeze because you just need to go to the install page and follow the instructions for each step. When your helixee is successfully installed and you have created your Novathings account, you will be prompted to download the helixee app on each of your devices. At Novathings, you only have one app to install per device to take advantage of all the features of helixee. All data transfers between helixee and your devices are secured with HTTPs protocols. In addition, each saved file is encrypted and a unique encryption key is created for each file. No ID or password is stored on your devices. Finally, for remote access to your helixee space, Novathings has avoided the UPnP protocol, recognized as at risk and yet used by a lot of connected objects and some connected hard drives and other NAS. At Novathings, we have developed and patented our own remote access technology, which is fully secure and compatible with all types of devices, operating systems and web browsers. Novathings belongs to the French Tech , so we have decided to design and manufacture helixee Smart Disk in France. 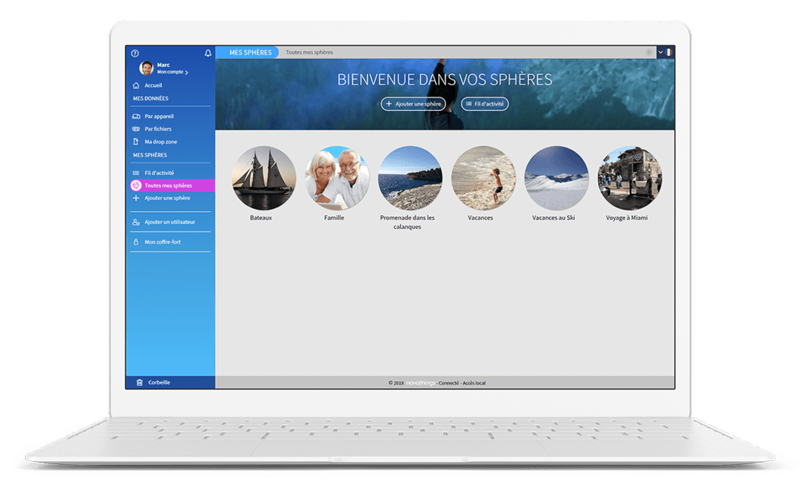 Our Smart Cloud offers are not left out, since they are all hosted in France!